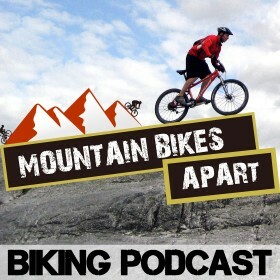 We’re back with another episode of the Mountain Bikes Apart podcast. In this edition of the show, we’re talking gear and everything you might need to take with you on a ride. The last thing you want to do is find yourself stuck in the middle of no where without the necessary tools or equipment to get you home. So, in this podcast we’ll be talking about how best to carry your gear with you, what tools you should take, the spares you might need, as well as some extra bits and bobs that can make your ride more fun and safe. There are a few ways that you can carry the gear you’ll need on a ride, and some suit certain types of riders better than others. The first method we talk about is a saddle bag, which attached underneath the saddle via straps or a clip. This is a good option for shorter rides or those closer to home. They’re good for stashing things like a spare tube, a multi-tool and some tyre levers. They can be a little noisy on rough ground, but they’re a good starting point. For those longer, more epic rides, you wouldn’t be far wrong taking a backpack or hydration pack, the latter allowing you to carry your water with you too. Packs allow ample space for your tools and spares, as well as helping to add some weight to your back, which can actually help with handling on steep downhills. This extra space will mean you can carry heavier tools than you would otherwise, which should see you through most mechanical issues. Of course, the other method is to just use the pockets on your jersey or shorts. Like the saddle back, this is a good starting point and offers enough space on shorter rides where you’re not going to be too isolated. You will however be limited to non-bulky tools and spares, as these can interfere with your riding and comfort! So what tools will you want to take on your ride? Well, as Colin and I discuss, it again comes down to the type of ride you’re going on. For short rides that are fairly close to home, a multi-tool which includes a chain splitter will be a good starting point. In addition, a spare tube, some tyre levers, a quick-link chain link, a pump and perhaps a patch kit should be about all you’ll need. On longer rides, there are a few extras that you’ll want to throw in. These include a spare gear cable, a spare mech hanger, some spare brake pads, a proper chain tool as oppose to the small one on your multi-tool and perhaps a shock pump too. Colin even talks about a multi-day ride he did where the group also had a spare rear mech with them! The more you can take and still be comfortable, the better prepared you’ll be when something goes wrong. So what else might you want to take with you on a ride? Aside from tools, there are a few other things you’ll want, especially on longer, more exposed rides. The first of these is a rain jacket, which is almost imperative throughout the year here in the UK! This will just make sure you don’t get caught out, especially if you’re route involves significant elevation gain. Of course, you’ll also want the basics, like a phone (with a decent amount of charge!) and some money. It’s amazing how much you need these kinds of items when you don’t pack them! Both will see you right if you need to be picked up or run out of energy before you’re done with your ride. Let us know what kinds of things you take with you on a ride, or any tips you have for packing tools and spares. As always, you can get in touch via the contact form or hit us up on Twitter, where Colin is @colinmcgray and I’m @bytombell. We’ll see you on the next show, which is all about tech and recording your ride!